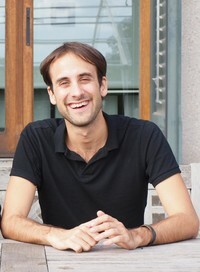 Nicholas Wenzel is co-founder of InternsGoPro, a social enterprise certifying the quality of internships in Europe. Between January 2012 and 2014 he worked at the World Vision Center for Social Innovation at the European Business School (EBS), Germany. At EBS he led the development of the Social Innovation MOOC. Nicholas holds a Master degree in Sociology from the London School of Economics and a Master in Social Sciences from the Humboldt-University Berlin. Before joining EBS, he worked as a policy consultant with a focus on green finance policy.